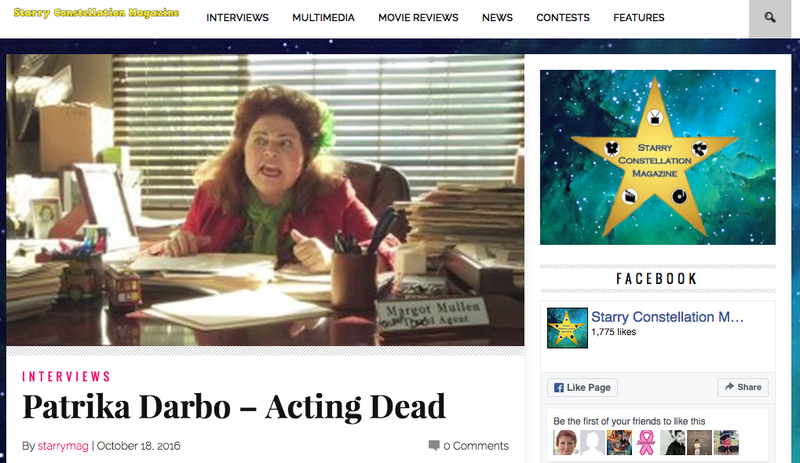 Patrika Darbo on Starry Constellation Magazine! This entry was posted in Status and tagged Acting Dead, Best Actress short format, Days of Our Lives, Emmy Winner, Margot Mullen, Nancy Wesley, Patrika Darbo, Starry Constellation Magazine, Turk PR. Bookmark the permalink.